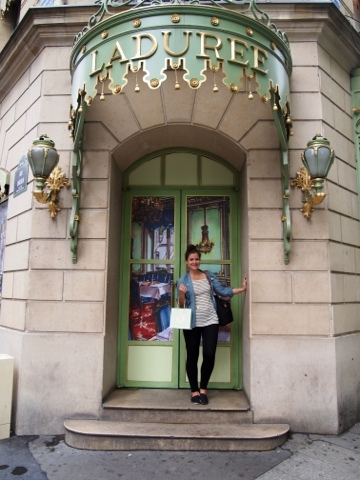 my first stop in paris? 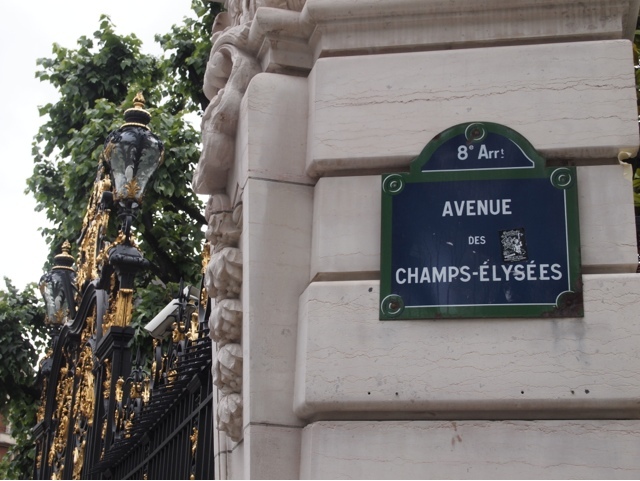 the infamous champs élysées, which clearly meant a visit to the famous french macaron shop, ladurée. 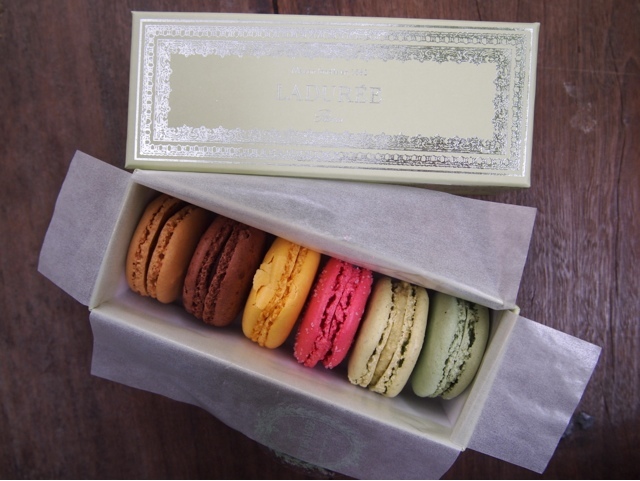 of course nowadays, there are ladurée shops all over the world, including one in new york. still, as a dedicated dessertphiliac (new word! ), i had to visit the flagship. unfortunately, the actual shop was undergoing renovations, but there was a small trailer just outside the shop selling the desserts. but don't let the word "trailer" fool you. there might not have been much space, but that didn't stop ladurée from fitting in three gold and glass cases, two chandeliers, and other over the top decorative pieces. i was scolded for trying to take a photo, so you'll just have to use your imagination on this one. outside the real shop. which wasn't actually open. if you're familiar with the shop, they do several different types of typical "salon de thé" type desserts. being that they were one of the first tea salons to open in paris, they've certainly had years of experience to perfect their art. i had trouble ignoring the mini croquembouches they had as a monthly special, but i decided i had to go classic and get a box of the macarons they are so famous for. there were many flavors to choose from, as there should be when you're paying a premium price for your tiny desserts. for my little splurge on a box of six (14.95€!! and totally keeping the box because it's goooorgeous! ), i chose ghana chocolate, almond, pistachio, strawberry candy, citron, and salted caramel. and i'm glad to report that not one of the miniature cookies failed to please.